We have now moved into the best fishing time of the year on the South coast. Fishing has been very good over the past few days, not just on Chesil, but a lot of other marks as well. At this time of year there is so much good fishing, I always have a problem deciding what to target. I am going to have a species hunt this week, and try and catch as many different species as I can. 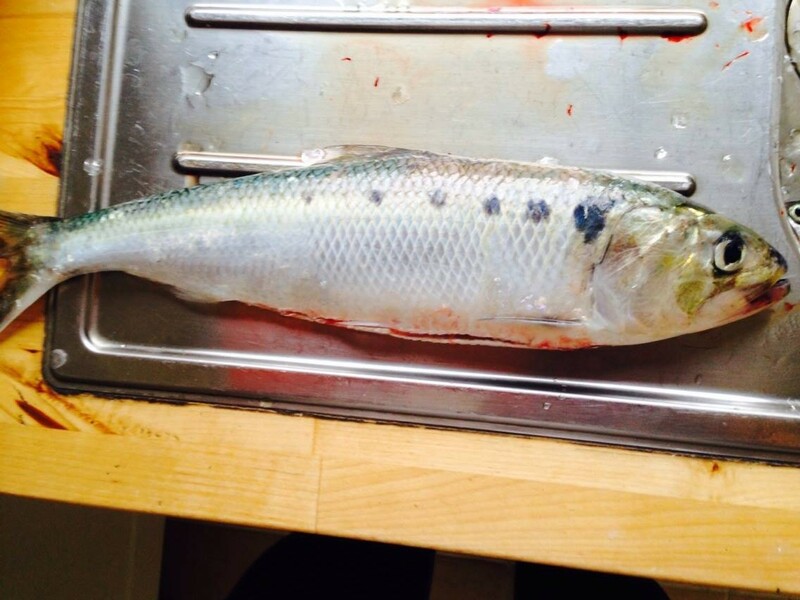 My target will be the following: Bass, Mullet, Cod, Undulate Ray, Mackerel, Scad, Wrasse, Bream and Gurnard. Anything else will be a bonus. I will let you know how I get on. The Samalite League was fished at West Bexington on Saturday night. 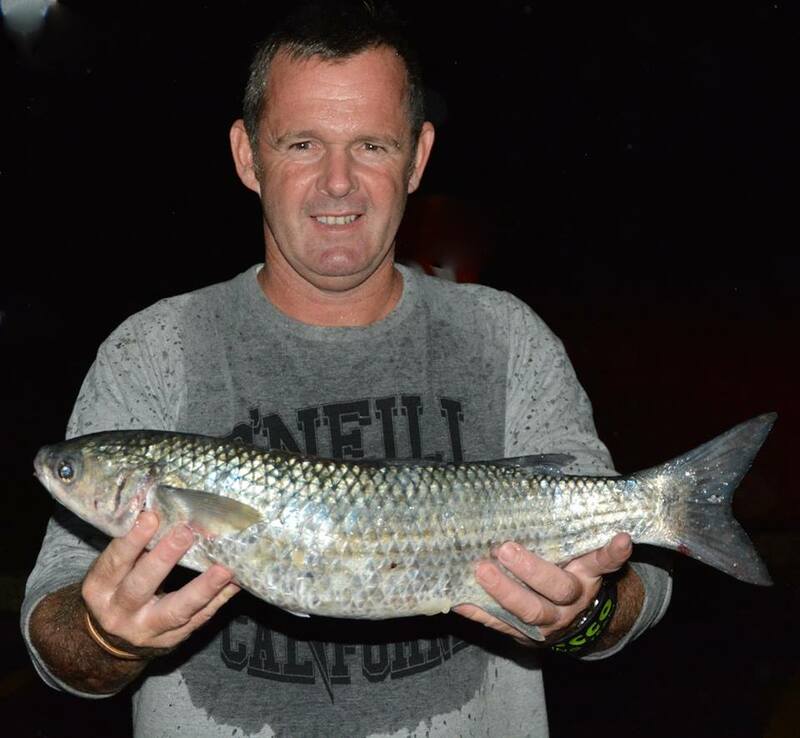 Plenty of fish were caught, with a good variety of species including Pout, Dogfish, Gurnard, Plaice, Sole, Scad, Smoothound, Cod and this cracking 4lb plus Mullet for Darren Cramer. In my forecast last week I mentioned that I had not seen or heard of any Trigger fish being caught yet. Over the weekend I had an email from Guy Harrup. He as recently feathering for Mackerel at Ferrybridge, when his line got snagged on what he at first thought was seaweed. He managed to free the snag and then realised it was abandoned fishing tackle. As he started to retrieve it, he saw what I first thought was a clump of seaweed, then what looked like a bin bag. It was then he realised it was a Triggerfish! It was hooked on what looked to be a Plaice-type rig. The Trigger was still alive, so with the help of another angler, they unhooked and returned it to fight another day. Guy estimated that the fish weighed around 3lb. Maybe I should add Trigger Fish to my species hunt this week! 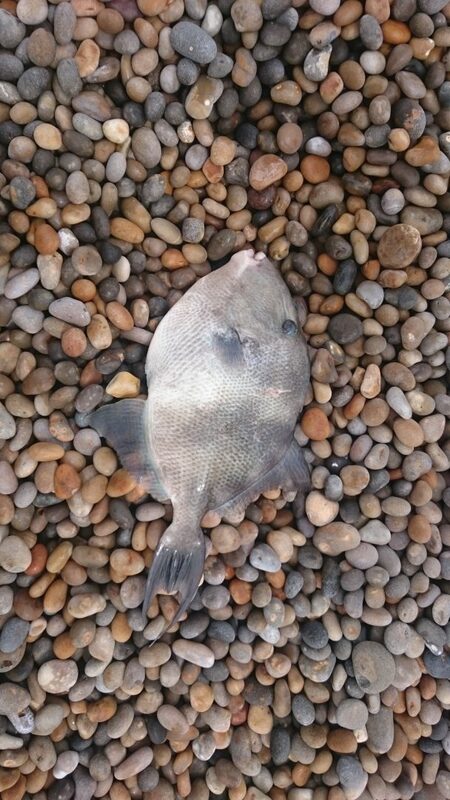 Whilst we are on the subject of species, I recently noticed a post on one of the Facebook fishing groups, where an angler in the Solent area asked for help in identifying a fish that he had recently caught. Another angler on the beach thought it was a Herring. It is in fact a Twaite Shad, which is a protected fish. Unfortunately he didn’t know this at the time, but he has allowed me to use the picture, to help other anglers avoid the same mistake. Twaite and the very similar Allis Shad seem to be about in numbers at the moment. They are part of the same family group as a Herring, but grow much larger. Other than size, one of the ways of identifying them, is to look for the dark spot behind the gills. On an Allis Shad they normally only have 2 spots. If you are lucky enough to catch one handle it carefully as the scales fall of easily, and then return it to the water. I will be doing a report this week on the fantastic boat fishing that we are experiencing at the moment. Expect that tomorrow or Wednesday. Chesil Beach forecast: Expect just about anything and everything from Chesil this week. At the moment the beach is pretty calm, but there is a short but strong blow forecast for Tuesday afternoon. This should stir up the beach. Codling, Bass and Rays will be the main target on Wednesday when the blow passes. At other times, Mackerel, Gurnard, Plaice and Bream should be plentifull. Portland: Plenty of Wrasse all around the Island, with the chance of a large one from Church Ope Cove and the Bill. Church Ope will fish really well over the next month, especially at dusk. Float fish about 15m out with a strip of Mackerel and you will catch Pollock, Scad, Mackerel, Garfish and possibly Bass and Mullet. Portland Harbour: Despite poor tides this weekend I still managed to get a couple of Bass on surface lures from the harbour, in a short hour long session. As the tides pick up the fishing will get even better. Both fish fell to a Xorus Pachinko surface lure. Whilst fishing for Bass I spotted a lot of Mullet feeding close in. I had a quick go for them on a Mepp spinner, but as they showed no interest, I am assuming they were Thick Lipped, and would need to be targeted with bread. 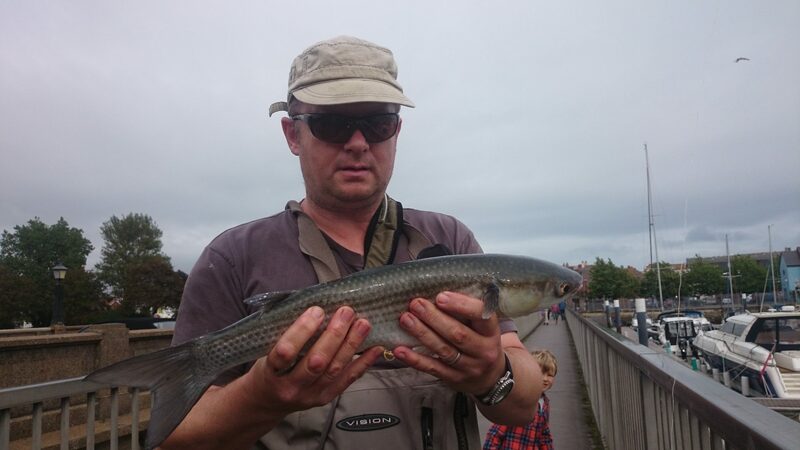 Weymouth Bay: The Thin Lipped Mullet in Weymouth harbour are feeding aggressively at the moment. This is due to the amount of food being washed down with the increased fresh water entering the harbour from Radipole lake. Our tech guru Adrain has been down fishing Weymouth and Portland all weekend. He managed 3 Thin Lipped Mullet between 4 and 5lb. 4 Responses to "Fishing at its best"
Looking forwards to seeing how may species you can get from the shore this week!. Stone Pier, is always a safe and easy venue in a SW. Alternatively Bowleaze Cove, or Portland Harbour will offer sheltered fishing. Just keep away from the Beach road area of Portland Harbour because of the number of windsurfers.